Footage of an unknown species of shark has gone viral after the huge fish was filmed swimming down a canal in a Sydney suburb, some 10 kilometers (six miles) inland. Simon Dilosa posted the video to Facebook where it has been viewed more than 13,000 times. An ominous fin and tail can be seen breaching the water as the shark glides closer to the camera. Dilosa claimed in his post that the shark is a juvenile great white but some commenters claim it is more likely a bull shark, more adept at handling fresh water. The shark was spotted in the Alexandria canal in the south-eastern Sydney suburb of Mascot. One commenter asked whether it was "one of those hipster inner west sharks", referencing an area close to the canal known for it’s coffee shops and restaurants. 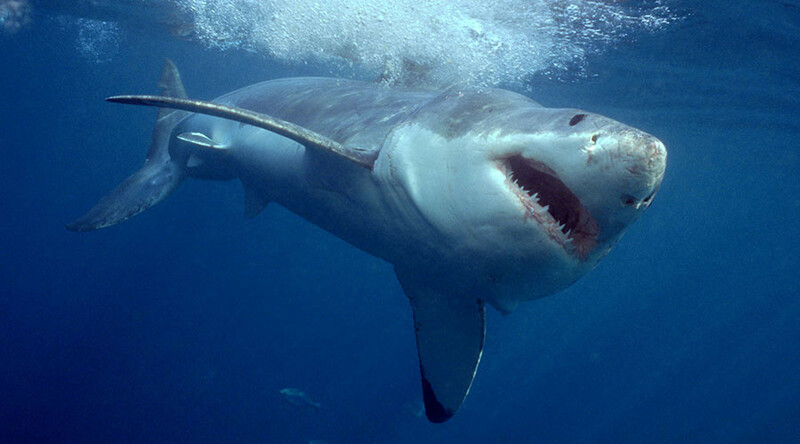 The shark may have come all the way inland from Botany Bay, 10km southeast of where Dilosa filmed it, 9News reports. Bull sharks have been spotted as far as 4,000km (2500 miles) up the Amazon River due to their ability to tolerate fresh water through salt retention. Competition for food is cited as one factor for the species to venture so far from the ocean.